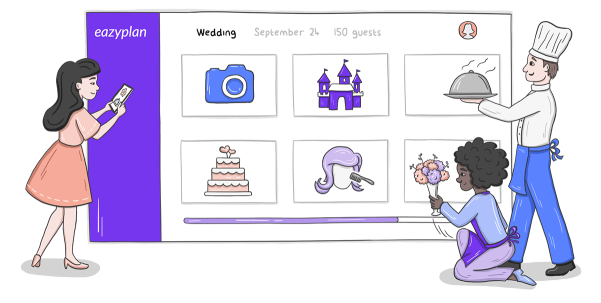 eazyplan assists you in planning weddings, social and corporate events, bringing you to better results faster. Getting lost in emails and messages? Enjoy all your communication in one place. 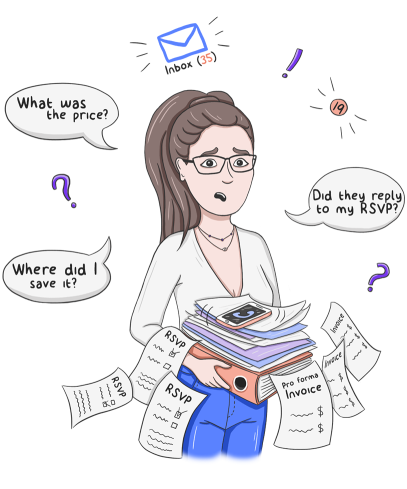 Jumping between different apps for RSVPs, budget, chats and planning? eazyplan has all the tools you need and updates data in them automatically for you. Searching for all the bits and pieces on your computer? See everything beautifully organised in a convenient dashboard. All the tools you’ll ever need for FREE. Spending time on proposals that don’t get a reply? Watch eazyplan take care of them automatically. Using different tools for communication, sales and event management? Find everything in the same place, perfectly integrated. 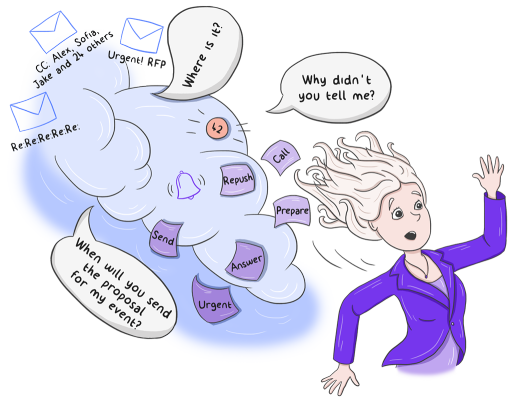 Wondering how to maximise your sales? eazyplan tools will help you capitalise on relevant events.